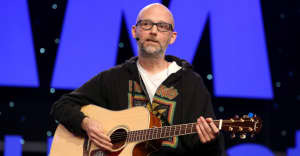 With the memory of a remarkably large bit of New York City sidewalk growth in mind, Moby has drawn Yoko Ono's 1985 song "Hell In Paradise" out into an echoing chamber-like ten-minute house track. it and she walked by and said, "That's a giant mushroom.' Thus, the remix, somehow." Listen to Moby's remix of "Hell In Paradise" below, and cop Yoko Ono's Yes, I'm A Witch Too this Friday, February 19 (via MANIMAL).